As the business expands and grows, we are investing more time and effort into padding out our full team with the correct support roles that they need (see our previous blog post for more evidence of this) – this meant taking steps to expand our Technical Research team once again. 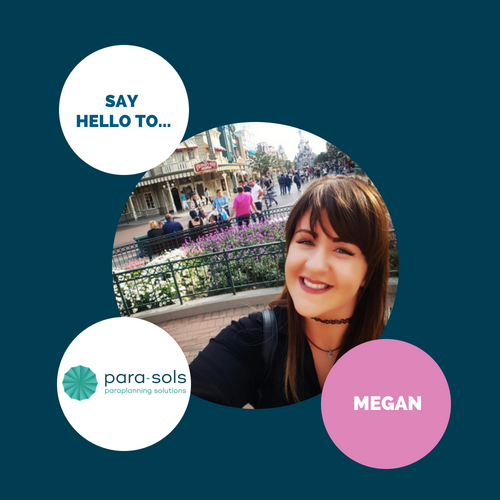 This time, we are introducing the newest Technical Researcher, Megan; already, Megan has shown strong skills that she puts into her work every day and we believe that her future here at Para-Sols is extremely bright. What’s been your first impressions of Para-Sols? I have really enjoyed the friendly atmosphere in the office – it’s lovely to be in an environment which feels so modern and different. The fact that we can wear what we like to work and there is no formal dress code, as there usually is in office jobs, makes it feel very relaxed and comfortable. There’s so many things that I have made lasting impressions on me since starting; the Para-Pub, where we chill after work on a Friday, is a great incentive! The office dogs are also a really nice extra to have, they always make people smile on a daily basis. I remember leaving the office on my first day thinking, ‘I can really see myself having a future here’, which was a lovely feeling. It may sound funny, but I have learnt how to use a Mac and two computer screens at the same time, without going dizzy or cross-eyed! Considering I had no previous experience in this industry, I feel as though I have already picked up a lot. It’s great because with the support and training I have received since starting, I have learnt a lot about pensions and investments in such a short space of time. I’m really looking forward to learning so much more within the job role. I hope to do further training and exams to broaden my knowledge and get some more qualifications in this industry – I want to further my knowledge and have a successful career in financial services and I believe that Para-Sols can offer this to me. I am especially looking forward to watching the team expand and grow!